Installation support for one single IP Camera for brands supplied and supported by www.IPCam-Central.com. For multiple camera installation please review the multiple camera remote installation discounted rates. The provided service is including the full configuration of the camera(s), to get them fully operational and viewable from the customer's residence, place of business or from anywhere in world. The service is provided during normal working hours 8AM to 5PM ET, Monday through Friday, to both domestic and international customers. The service can be provided beyond standard working hours. (see ordering options). IPCam-Central.com is providing a Money back guarantee in case the installation does not succeed. 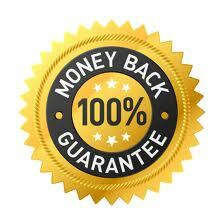 The Money back guarantee does not cover an installation which did not succeed due to: 1. Issues related to the customer's Internet Service Provider blocking certain traffic. 2. The customer's router is found defective, or the customer does not have the credential to access the router settings. 3. The IP camera is found defective, and it is out of warranty from IPCam-Central.com, or has been purchased from other sources than IPcam-Central.com. Awesome product, awesome support, and awesome installation. We first purchased one FI8918W and my wife and I with the help from a friend took 6 hours to install it. Actually the 6 hours was our fault, not being familiar with technical aspects of the computer. After the camera was working it was a great comfort to view our home while we were away. We then decided to purchase 3 more cameras and decided to purchase the remote installation. The remote tech was "David". He was very professional, friendly and very efficient, he had all 4 cameras running perfectly in about 1 hour. We highly recommend this product and this company's entire staff, from support to the office personal. THANKS from two people whose minds are now at ease when away from home.